Along with the new blunt bangs, I acquired a new nickname as a "doll". I don't like labeling people, but this one is actually flattering! One of my dream was to married Ken cause he has the most perfect hair and teeth and always seems oh-so-fashionable. Since Chinese New Year is just around the corner, I would like to say Happy Chinese New Year to all who celebrates it. May all of us have a prosperous year ahead. 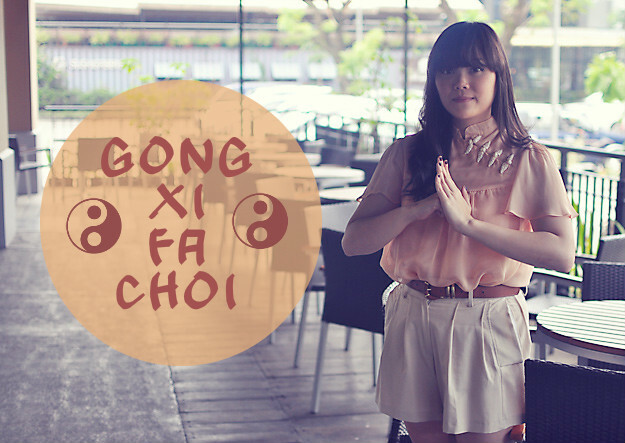 Gong Xi Fat Choy! I will be spending the Lunar New Year with my big family in Jakarta. We don't pray to the ancestors anymore but we really love the tradition of gathering in one of the eldest son in the family (since my grandparents are gone, except for my adorable grandma from my mom's side :)) and just catching up on everything. Wishing all of you a very oriental weekend! You had a nice blog there. Hope you enjoy your holiday weekend! 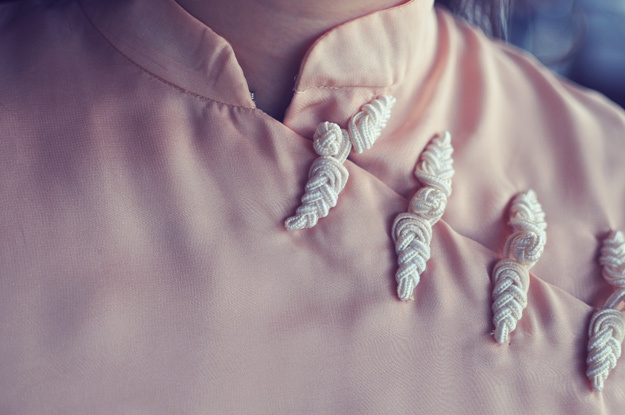 I love the details on that blouse! You do look really cute and doll like! Oh sweetie your blouse is absolutely cute. Now I´m following you because your blog is really cte and you have lovely pics with your outfits. 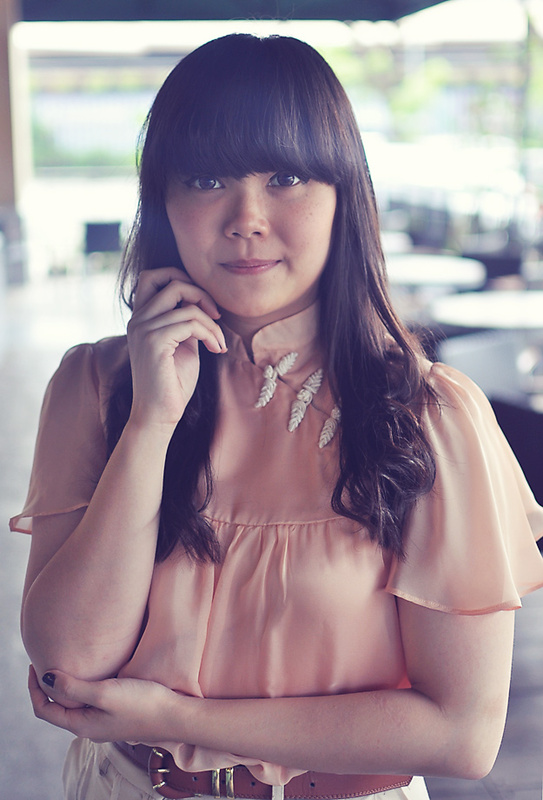 I love everything about your outfit, from the color tones to the ladylike style! great top, your outfits color is just soft and sweet. you look so cute! I'm in love with your blouse! Such a pretty outfit.. you look very cute :) nice shorts! 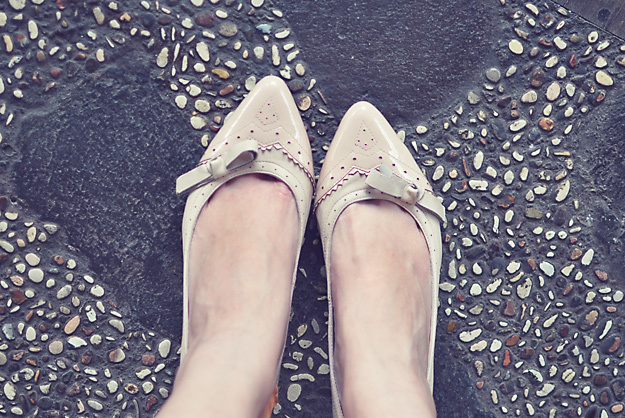 Such pretty little details :) Your shoes are fabulous and your bangs....LOVE! !